"What do I look like-Dr. Angel, Medicine Woman?" 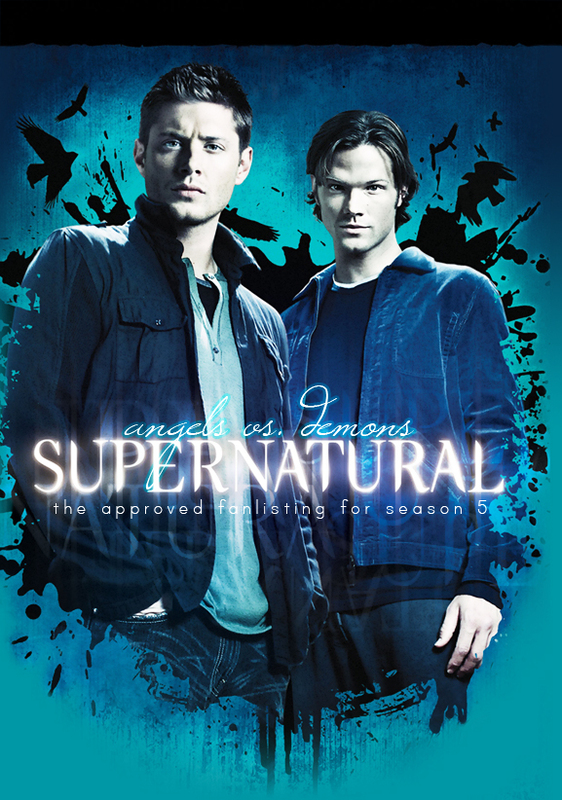 Welcome to 'Angels Vs. Demons', the TFL.org approved fanlisting for Season 5 of the CW tv series Supernatural. Season 5 began airing on September 10, 2009. Regular cast members of the season include Jared Padalecki, Jensen Ackles and Misha Collins. and a growth rate 0.01 fans/day. It was opened June 20th, 2010 is owned by Chrisie. We're listed at TFL.org.